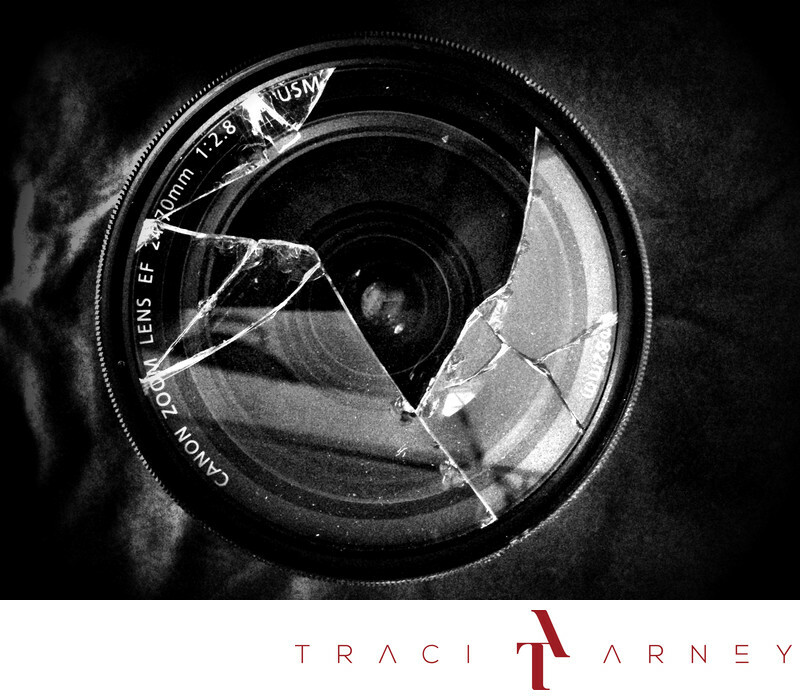 This is the damage to my Canon lens that was done when my lens caught a baseball during an engagement session at War Memorial Stadium in Greensboro, NC. Keywords: Baseball (21), Black and White (135), Bravery (15), Broken lens (9), Canon Lens (3), Engagement Session (138), iPhone (3). 1/15; f/2.4; ISO 800; 4.1 mm.